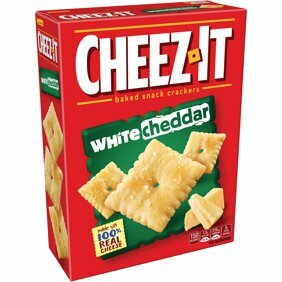 Cheez-It Baked White Cheddar Snack Crackers, 12.4 Oz. 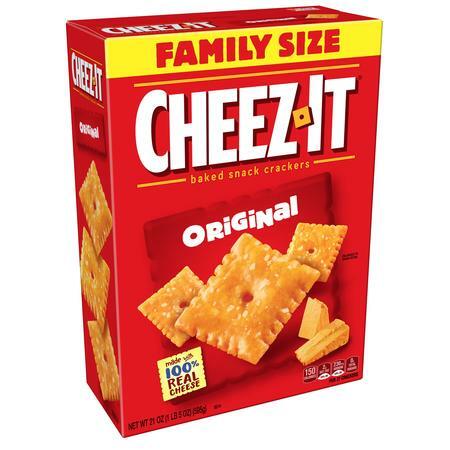 Make snack time more fun with Cheez-It Original&nbsp;Baked Snack Crackers, bite-size cheese crackers that are baked to crispy perfection. Cheez-It Baked Snack Crackers are the real deal—made with 100% real cheese that's been carefully aged for a yummy, irresistible taste that’s bursting with real cheese goodness in every crunchy bite. 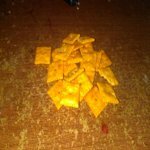 Each perfect square crisp is loaded with bold cheesy flavor that hits your taste buds with every delicious mouthful. A baked snack, Cheez-It crackers are perfect for game time, party spreads, school lunches, late-night snacking and more—the cheesy options are endless. Go ahead and enjoy your favorite cheese bite. You'll love the one-of-a-kind flavor of real cheese in every tasty handful of Cheez-It Original&nbsp;Baked Snack Crackers. Ingredients: Enriched flour (wheat flour, niacin, reduced iron, vitamin B1 [thiamin mononitrate], vitamin B2 [riboflavin], folic acid), vegetable oil (soybean and palm oil with TBHQ for freshness), cheese made with skim milk (skim milk, whey protein, salt, cheese cultures, enzymes, annatto extract color).Contains 2% or less of salt, paprika, yeast, paprika extract color, soy lecithin. 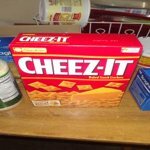 Can never get enough of Cheez-It's and now they have more flavors and varieties....still, this standard flavor is always the favorite. 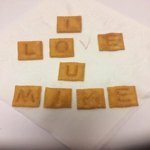 The original Cheeze-It crackers are my favorite.